Parker has positioning system solutions for machine builders of all types, from those who want a complete integrated system to those who want to build their own system from their expansive line of components. 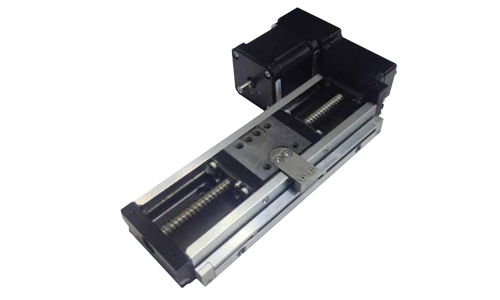 Parker offers best-in-class positioner designs with screw, belt, or linear motor-drive technologies. Parker’s complete breadth of positioning product solutions include robust, low-maintenance industrial-focused positioners, miniatures, OEM-friendly linear motors, precision and high-payload industrial rotary positioners, and manual and micrometer-driven linear and rotary products.  Download the Parker Positioning Products Guide for details and specs on all of their positioning components. 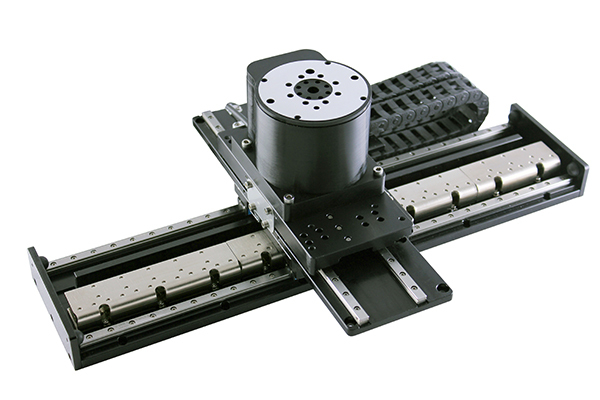 The “400XR” standard series linear positioners offer reliable performance and unmatched versatility. Convenient mounting features enable XY table combinations to be quickly and easily constructed. The XR family offers an unrivaled array of features and options which are easily matched to fit any application, from the very basic to the highly complex. 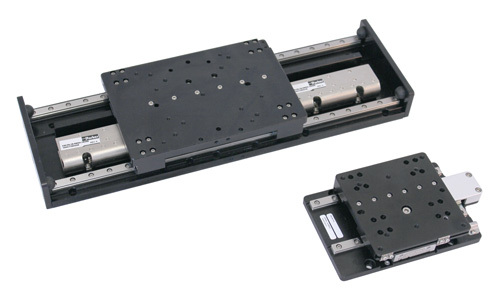 Premier performance, modular compatibility, and quick delivery have made these tables the perfect building blocks for cost-effective multi-axis systems. Parker Hannifin’s High Moment Rodless (HMR) Series electric linear actuator is one of the most user friendly and versatile actuator lines on the market today. The XE series combines a rugged steel body construction with an integrated precision ball screw and bearing guide producing a highly accurate, cost effective line of tables ideal for applications in the hard disk, semiconductor, medical, machine building and many other industries. 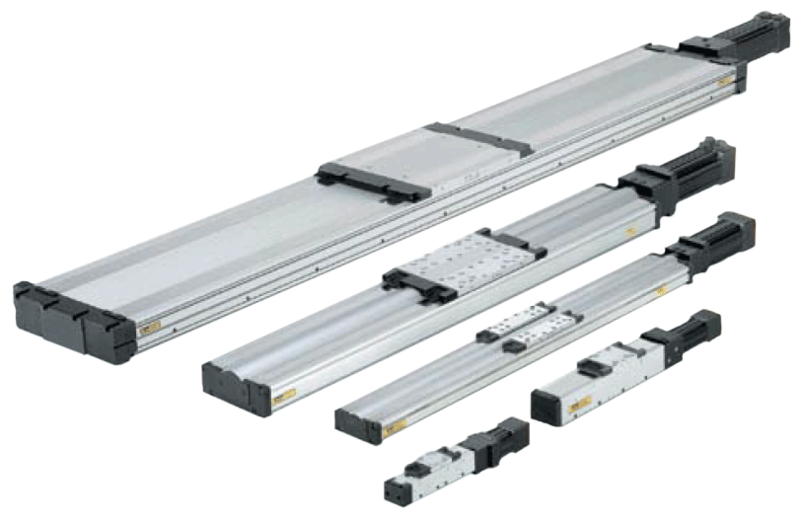 The mSR series of miniature, dual square rail guided, linear motor positioners have been engineered to deliver a combination of modularity, flexibility, and performance in an extremely compact package. The mPR series is a miniature precision rotary stage that has been engineered to deliver a combination of modularity, flexibility, and performance in an extremely compact package. The OSP-E Series offers a medium-capacity, flexible, value-priced screw-driven or belt-driven actuator. The OSP-E simplifies the crossover to electric actuation from pneumatics, with dimensional equivalents to the Parker Origa OSP-P pneumatic line of products. 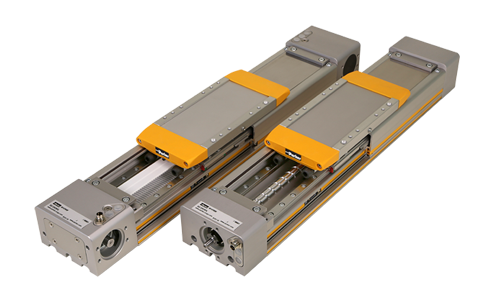 HPLA belt drive positioners are designed to rapidly shuttle payloads to multiple locations. Various bearing options offer design flexibility for long, quiet motion at high speed. The ideal solution for OEM instrument manufacturers, the LCR Series offers a reduced overall cost of ownership and a complete solution including amplifier/drive, motor, actuator, bearings, seals, and limit sensors. The MX80-S, and MX45-S are screw driven miniature postioners, which use integrated cross roller bearings as their guidance. 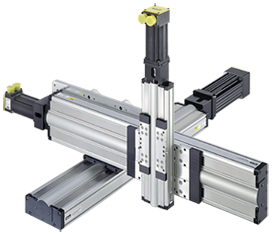 Like its linear motordriven counterpart, the MX is designed for applications requiring reliable linear positioning in space-restricted applications.